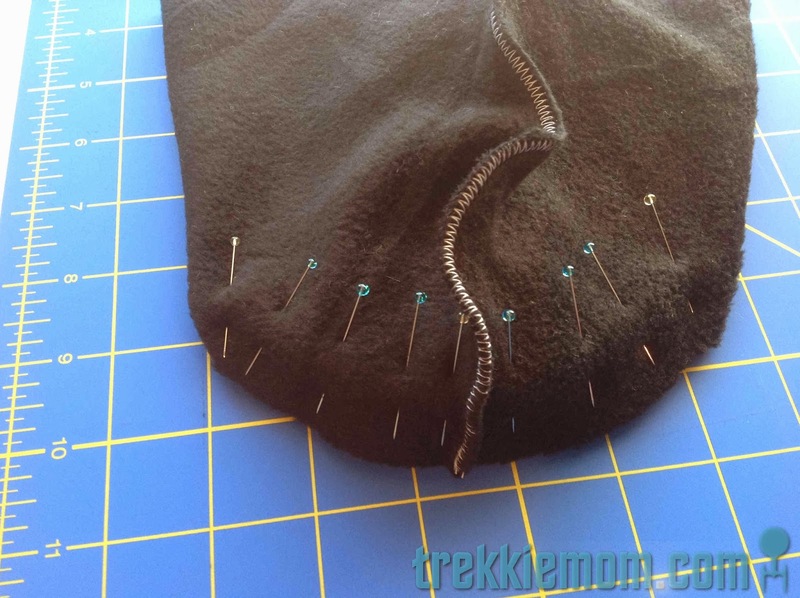 Now the hat decreased in quarters to finish off the top, so I decided to follow that pattern with my fleece. 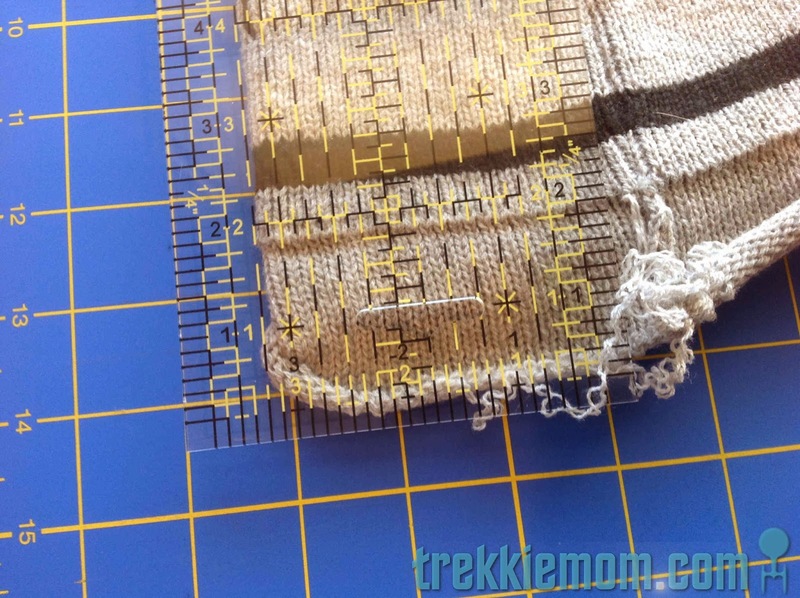 I zigzagged the long seam on the right side and the opposite side quarter. The zigzag allows it to stay stretchy. 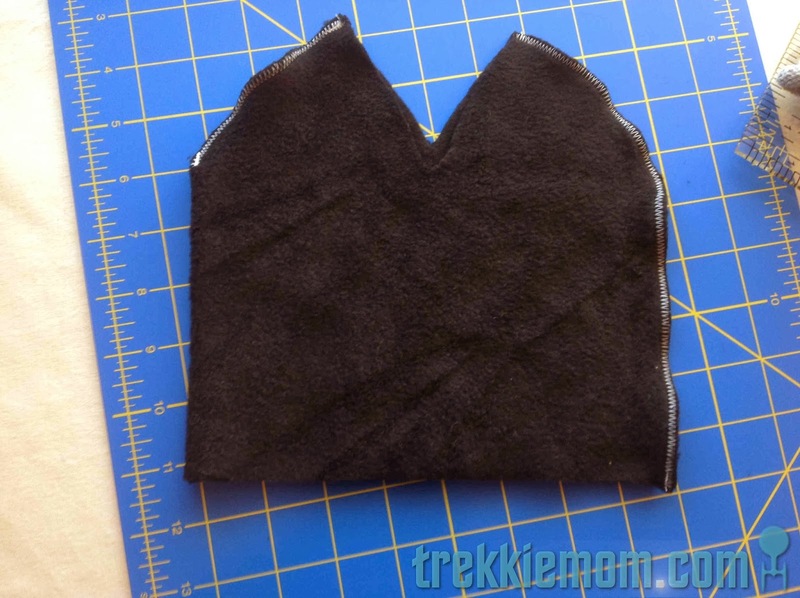 Next, I pinned the other quarters into a continuous half moon. 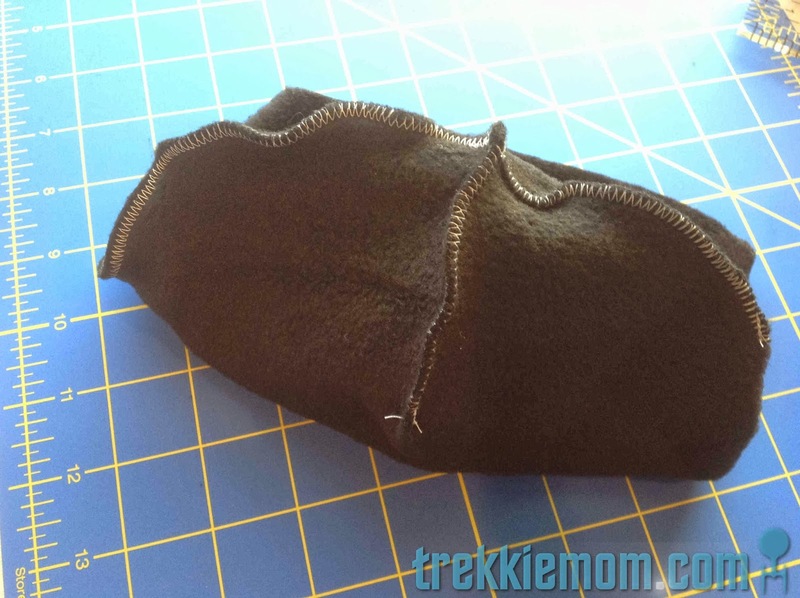 Then, I zigzag stitched the half moon with a continuous zigzag stitch. 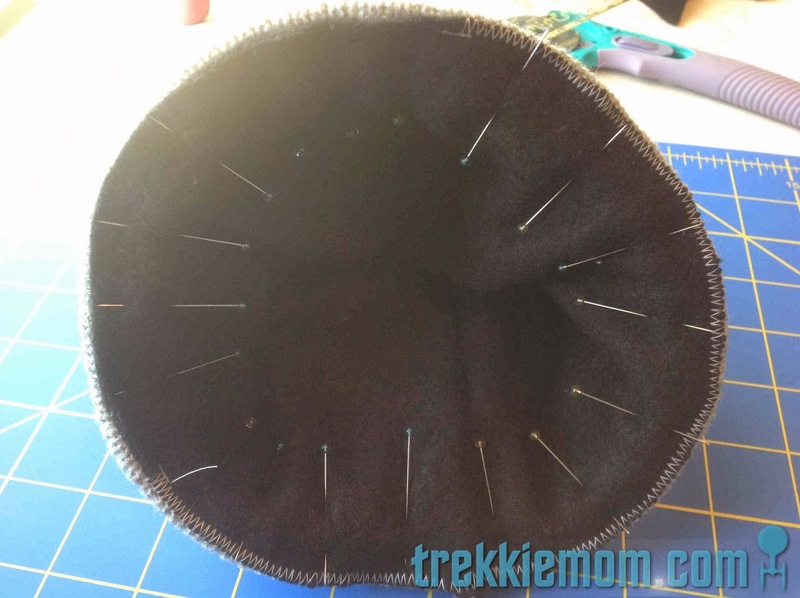 After turning the knit hat inside out and the new fleece lining right-side-to, I stuffed the knit hat inside of the fleece lining. 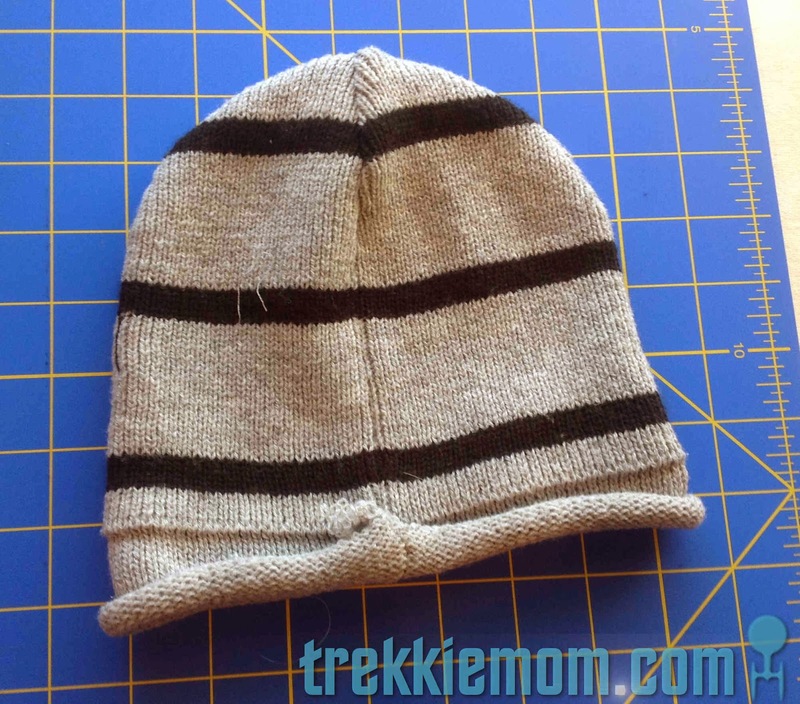 Folding the rolling, unraveling edge of the knit had inward, I pinned the edge of the lining to the new edge of the knit hat. 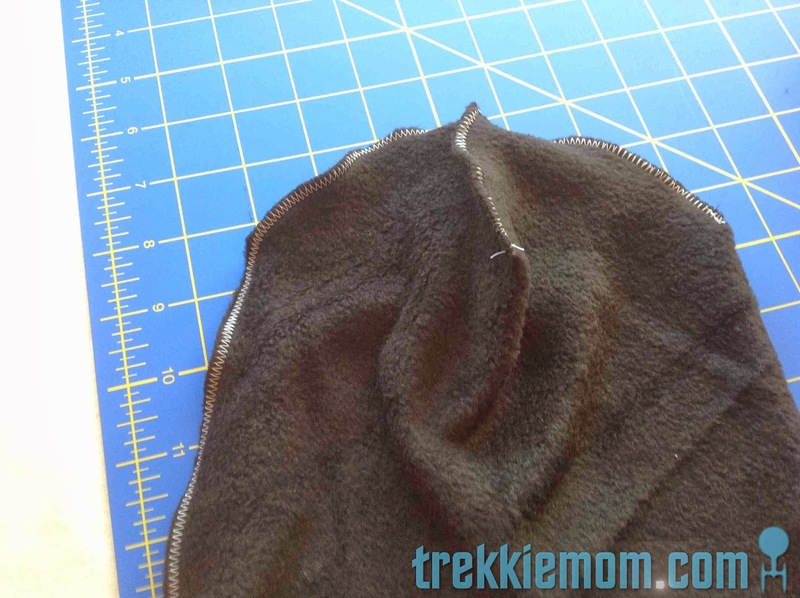 I wasn't super scientific about this seam. It was one of those, yeah, that looks about right, kinda things. 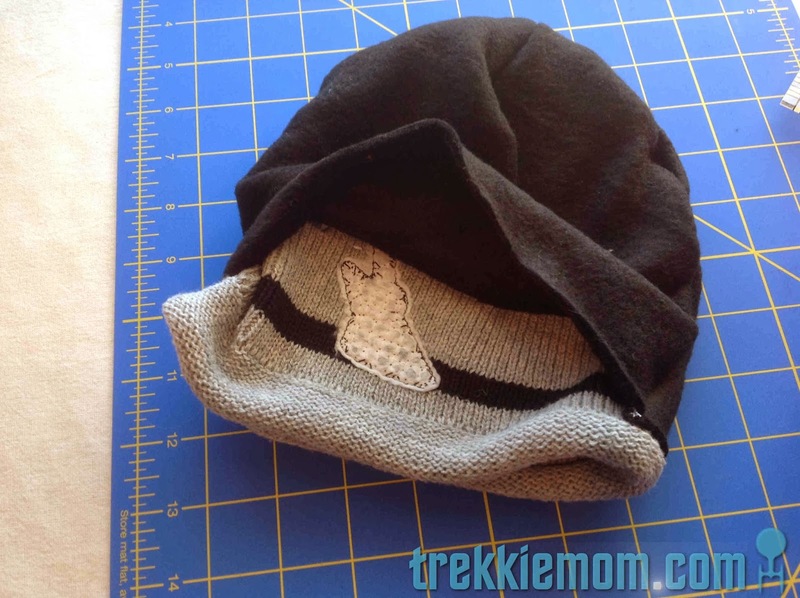 Remember the unraveled edge is folded under and inside between the 2 layers, so the zigzag stitch (used to keep the stretchy quality of the hat) will prevent further unraveling and hide the unsightly unraveled portion of the knit hat. And done. 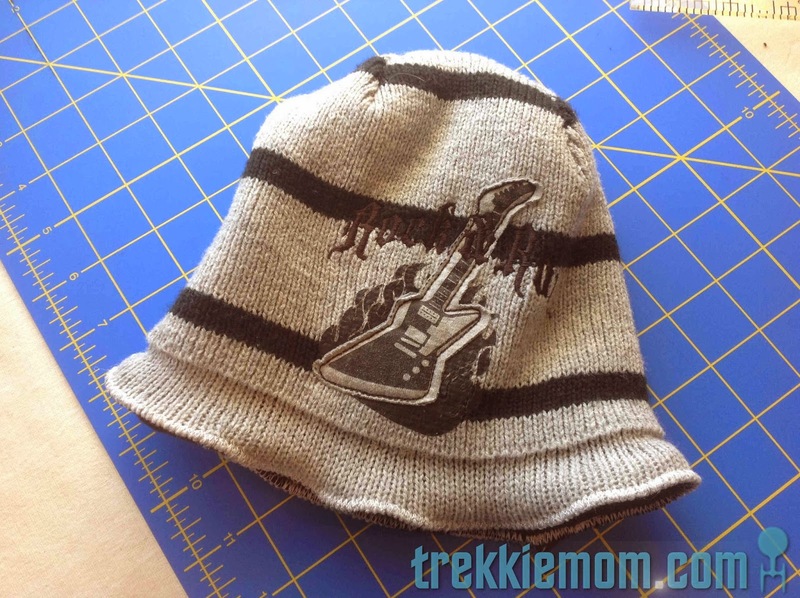 Another item saved from a landfill, and it's warmer too! AND most importantly, it doesn't look half bad.